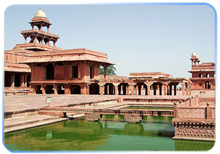 Drive to Agra by surface, On Arrival directly transferred to your pre booked hotel. Check In and get relaxed. Spend a night in the historical city to feel the charm of this famous destination. Plan your trip to the City of Taj with Green Chili Holidays. 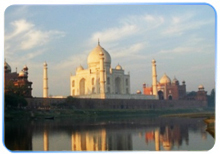 “Experience the Taj as never before. Explore one of the world's most famous architecture at your own pace with an expert. This tour is designed to help you truly understand the inspiration history, origin, and influences behind this amazing monument.While at Taj, you will explore its myriad design elements, including the gardens, the main tomb, and the interior & exterior embellishments. You will be given an insight into the engineers, architects, and craftsmen who laboured for 22 years to make this vision a reality. “Agra Fort: Near the gardens of the TajMahal stands the important 16th century Mughal monument known as the Red Fort of Agra. This powerful fortress of red sandstone encompasses, within its 2.5km long enclosure walls, the imperial city of the Mughal rulers. It comprises of many mosques, breathtaking Palaces, such as the Jahangir Palace and the KhasMahal, built by Shah Jahan; audience halls, such as the Diwan-i-Khas. Later back to hotel for overnight Stay, Agra. 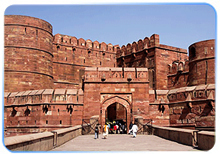 The City of Emperors was built by the great Mughal Emperor Akbar; it is one of the best examples of a Mughal walled city. With its imposing gateways, well defined private and public areas and an architectural style blending the best of Hindu and Islamic traditions, it symbolizes Akbar’s secular vision. With this imposing city as a backdrop, our expert will narrate you the story of this great king.